I've been thinking about religion again. Sorta. Okay, barely. Today's religious/scientific rant discussion is about "Intelligent Design." Yeah. Whatever, Wikipedia. 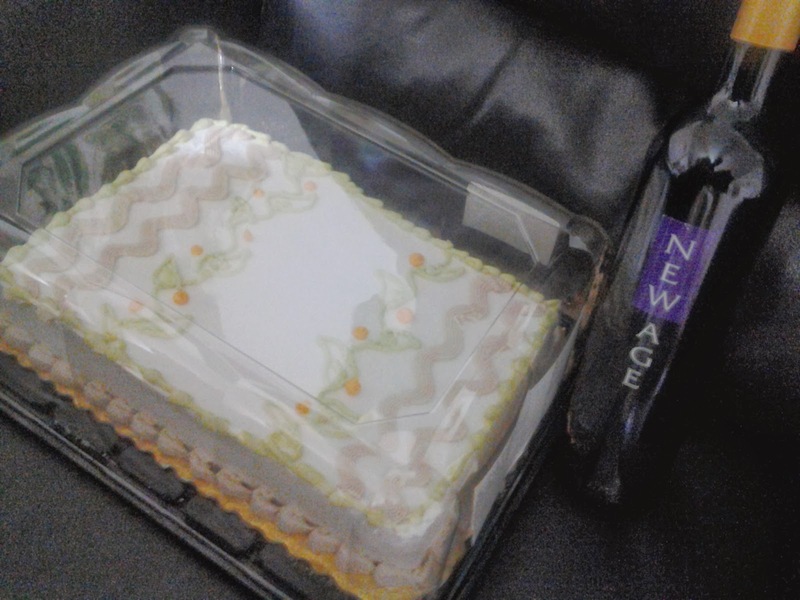 According to Shelleypedia, Intelligent Design is the Market Street on 19th and Quaker putting the birthday cakes and wine right across from each other so that I can't not get cake when I'm only on that end of the store for wine. Let's just say that the kid that I'm never going to have has had a lot of imaginary birthdays. p.s. This one is a pretty short rant discussion. Feel free to talk amongst yourselves then have some cake. I'm not sharing the wine. p.s.s. Every time I get a cake, the bakery person asks what I want them to put on it. I usually just tell them it's fine the way it is and move on to the wine, but next time I think I'll get an icing inscription. Any suggestions what it should say? I'm leaning toward "Happy Vasectomy, Earl!" or something equally awkward. Still thinking of awkward sentiments to put on the next cake. "Happy Vasectomy, Earl!" is still in the lead, but "Congratulations on your weight loss!" is gaining quickly. Maybe just a big "NOT GUILTY!" How about: Sorry I gave you an STD! Nice one. And "STD" needs to be in puffy, red lettering. Oh my gosh. This is going to become my new favorite hobby. I would just do something stupid like "Sorry about the poop!" Or maybe "Sorry I ran over your cat!" "Sorry about the poop"? Wow. That addresses any number of indiscretions.